SQLFile exposes the full range of .NET Framework file & directory management functions for use in T-SQL scripts - and adds the ability to directly import and export data, and to compress both binary and text data stored internally in the database. Most of the 117 file operations are implemented as scalar functions that can be applied to tables of files etc. so that many files can be read, written or updated in parallel with a single statement. * Testing for existence of files and folders and retrieving attributes, access control settings, file sizes and timestamps. * Copying, moving, replacing, renaming and changing the attributes of files and directories. * Simple import of file contents as binary objects, text files or one-column tables (using a table-valued function). * Simple import and parsing of delimited text files as multi-column tables (as a stored procedure output). * Simple export of tables, query outputs or single values to delimited text, simple text or binary files. * Internal data compression and decompression of binary data and text values to reduce storage and bandwidth consumption. * Conversion between native binary data, binary encoded as base64 text and binary encoded as hexadecimal text. * Conversion of text between different encodings and code pages (e.g. Ascii, UTF7, UTF8, Unicode, UTF32, language-specific code pages). 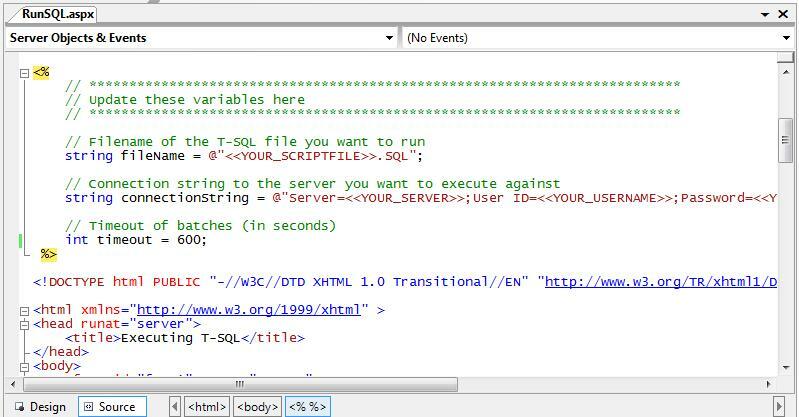 Qweas is providing links to SQLFile 1.0.0.0 as a courtesy, and makes no representations regarding SQLFile or any other applications or any information related thereto. Any questions, complaints or claims regarding this application SQLFile 1.0.0.0 must be directed to the appropriate software vendor. You may click the publisher link of SQLFile on the top of this page to get more details about the vendor.